In each edition we’d not only like to include a round-up of news and developments from digital film technology (dft), but also to give some of our customers the opportunity to share their news and projects too. If you have something to share, please contact us and we will be delighted to include it! So what has been happening at dft? In December we were delighted to announce that we acquired precision Swiss image and sound digitization company, Sondor. The acquisition means that the team are able to offer the best in terms of both sound and image technology to customers worldwide. Eye Filmmuseum, located in Amsterdam, has recently purchased a Sondor audio scanner to complement its already well equipped archive and restoration facility. The archive holds over 40,000 films from all genres, and including unique nitrate titles, classics of Dutch cinema, blockbusters and experimental films. Sondor was recently acquired by film image scanning specialist Digital Film Technology (DFT), and this was the first installation carried out by the DFT team. Visit us at NAB – and collect a discount on future orders! This year we've decided to change how we exhibit at NAB, making it easier for our customers to catch-up with us without the distracting buzz of the show. Rather than have a standard booth, we are instead hiring a hotel suite, at the adjoining Westgate Hotel (Suite Number 2610), at which you are all welcome to join us for a chat and to see the latest demo of our amazing ‘repaired’ footage achieved using our WetGate technology. As well as hosting breakfast everyday, everyone who books a meeting with us at the show will receive a significant $1,500 discount which is redeemable against any engineering labour required for either the purchase of a new machine, or for machine upgrades within the next 12 months. 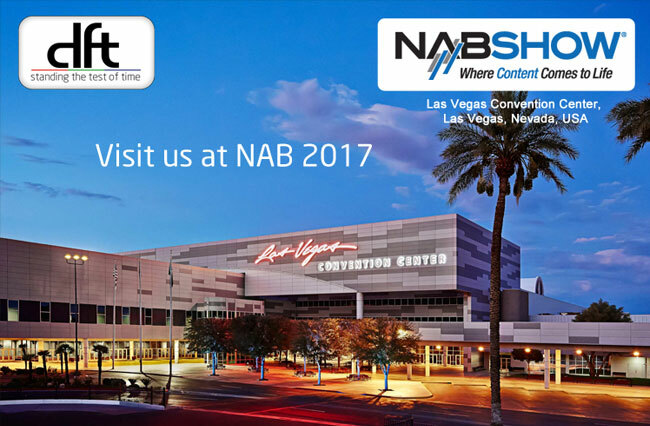 If you can’t make it to NAB this year, then how about visiting IBC instead? This year we will have a booth at the show, and will be displaying Scanity HDR as well as the Sondor Versa. More details to follow nearer the time. As a regular sponsor and contributor to all of the main archive and restoration associations, we’ve recently attended the October FIAT/IFTA Nina conference in Warsaw, and in November the AMIA conference in Pittsburgh. Shortly after NAB, we will be attending the 2017 FIAF Congress which will take place in Los Angeles from 28 April-3 May 2017, hosted by the Academy Film Archive and the UCLA Film and Television Archive - so keep a look out for us! It’s always good to hear about the work that our customers do using dft film scanners. If you’d like us to feature your work, we’d love to include it, so please keep us up to date! For over 30 years, the filmmaker Bill Morrison has been resurrecting forgotten footage and finding its place within often equally forgotten historical and cultural contexts. Greg MacGillivray has been working in the film world for 40 years. His films demand the finest image quality possible and he gets that with our technicians and Scanity HDR scanner. We proudly provided scanning services for his films Humpback Whales and National Parks Adventure. Private Property was scanned in 4K resolution on the Scanity film scanner at Cinelicious from the earliest known existing element, a 35mm dupe negtive recently discovered and preserved by the UCLA Film & Television Archive. The resulting data was then digitally restored frame-by-frame using a variety of tools to remove dirt, scratches, flicker and other damage. While the full aperture elements were completely restored, the film is presented in its original theatrical aspect ratio of 1.66:1. Nearly 30 years after its Broadway premiere, the Pulitzer Prize-winning Fences is the first August Wilson play to make it to the big screen. 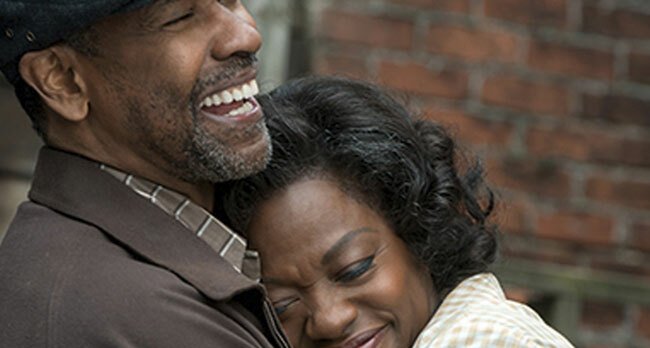 According to cinematographer Charlotte Bruus Christensen, Fences is a passion project for Washington, who also signed on to direct the movie. Footage was processed at Fotokem in Burbank, Calif, and the negative was scanned at 4K and oversampled down to 2K on a DFT Scanity film scanner. 1930’s two-colour classic ‘King of Jazz’ has been recently restored. This has been a lengthy and complex project, involving numerous parties. As part of the process, a surviving nitrate print from 1930 with a length of 83 minutes was found, and scanned at 4K by Prasad Corp. on a Scanity, because the print’s 1.8% shrinkage demanded sprocketless scanning.